This Q-Connect 16 month fiscal and EU planner runs from January to April and shows national holidays for Canada, Japan, USA and the EU. 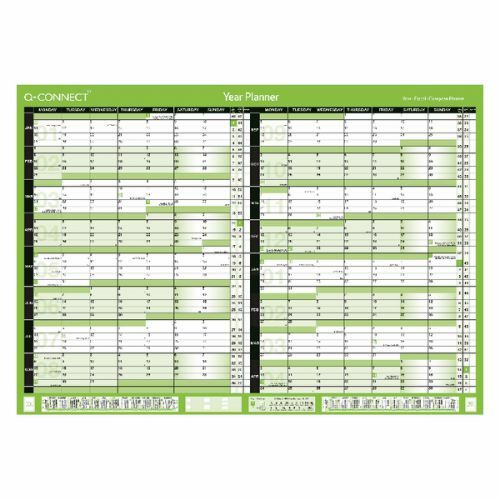 Ideal for long term financial planning, the planner also shows previous and forward year calendars for reference. The unmounted A2 planner can be easily pinned to a wall or rolled up when not in use.